Newcomers to the gym often face a paralyzing number of options. The wide room is packed full of machinery that can be very intimidating to some. 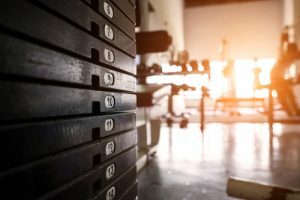 I know the first time I went to my local Planet Fitness I was overwhelmed by the different options available, and it was over a month before I’d developed a pattern I really liked. The most important thing about whichever option you choose is to try to pick the one you’ll hate the least. Some people will gradually fall in love with working out and end up looking forward to it every day, but don’t count on it. Choosing the equipment that you enjoy the most will be the most effective path towards maintaining a proper workout machine. Treadmills offer a wide range of use, allowing you to sprint as fast as you can or just go for a light jog. They also often will have a incline option, letting you go uphill for more resistance if you want a bit more intense of a workout. If you find that running around the block is a fun way to get your day’s exercise, then using the treadmill is a really good winter and rainy day option. Conveniently, it will train real world skills; unless you’re a city delivery driver, biking isn’t too crucial, but you never know when being able to run fast will come in handy. The best perk of the treadmill, though, is that it’s just plain effective. You’re propelling your entire body weight forward, and that burns a lot of calories. As you run, you’ll build up muscles and bone strength that will maintain your health well into your older years. If you gave the treadmill a shot and found it effective but painful, then an elliptical might be the best choice for you. Ellipticals imitate the running movement of treadmills, but do it in low impact way that minimizes the strain on your joints. 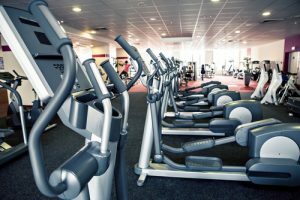 They can also offer a more full-body workout; bikes and treadmills pretty much just focus on your legs, but ellipticals have handles that get your arm into the workout as well, providing aerobic exercise and full body muscle toning. It’s tough to run backwards on a treadmill, but with an elliptical, you can reverse your stride with ease, working out entirely different muscles. Perhaps the weirdest advantage of an elliptical is that it doesn’t feel that strenuous, so many people actually work harder and push themselves farther than they would on other devices and not even realize it. Most of the advantages of stationary bikes come with the ease of use. The smooth motion of pedaling the bike doesn’t have the same impact or stress as treadmills or ellipticals. They allow you to sit down while you exercise, which can take the stress off of a bad back. Stationary bikes are often a good choice for those who are very early on in their weight loss journey, or older, infirmed, and disabled exercisers. They also are pretty much the simplest, and thus, cheapest option, if you’re considering purchasing instead of using gym equipment. 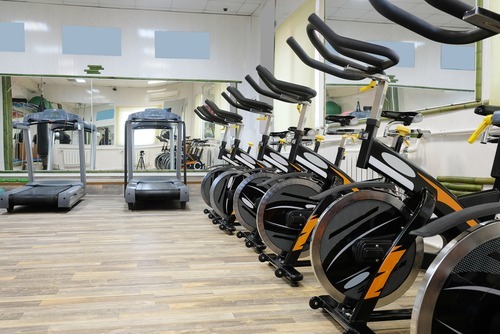 While there certainly are high-tech stationary bikes available on the market, the most basic stationary bikes are simply bikes that don’t go anywhere, whereas treadmills and ellipticals both require electricity. Stationary bikes are also the most compact option, so they’re good to purchase if you have limited space. The most apparent issue with using a treadmill is that it can very often hurt. The impact from hitting the treadmill over and over can put a strain on just about every relevant joint, from your ankles up to your spine. If you are going to go on a treadmill, it’s always a good idea to stretch first, to forestall any pain and prevent possible injury. They’re also the most dangerous option of the three, as it is much more free-moving than ellipticals or stationary bikes. They’re also just plain the hardest. Ellipticals and stationary bikes are both designed to somewhat mitigate the impact of exercise, but treadmills aren’t. They’re just you, running. The tradeoff you get from a lower impact workout is that it has less impact. One of the advantages of the treadmill is that impact you get; it might hurt, but it strengthens your muscles, allowing you to maintain posture and health into your old age. The elliptical doesn’t confer any of this benefit, and won’t really do much at all to strengthen your joints. Also, if you’re thinking about purchasing one for your home, they can be the most difficult equipment to buy. Ellipticals, at just about every end of the pay scale, are more expensive than both treadmills and stationary bikes. They’re also the largest of the three, making them unwieldy choice for anyone with a smaller living space. The most immediately apparent disadvantage of riding a stationary bike is that it doesn’t give you as strenuous of a workout as either treadmills or ellipticals. This means that you have to push yourself harder, and ride the bike for longer, in order to get the same workout as either of them. It also doesn’t offer as much of a full-body workout as the other two. Treadmills might only really work your legs, like the bikes, but standing while you’re running works out your core, and that’s not a benefit you get from stationary bikes. The seat also has a tendency to make the rider sore after a while, or have them shifting all over the place. Some who have used stationary bikes report that they get bored, because of the lack of engagement with the rest of their bodies. You don’t have to pick just one. Many like to alternate between options, varying their workout routine for maximum effect. Know the advantages and disadvantages of each, and try them all to see which fits you best.